High street health and beauty retailer Superdrug hosted a huge party and charity fundraiser with their staff to celebrate 50 years in business. 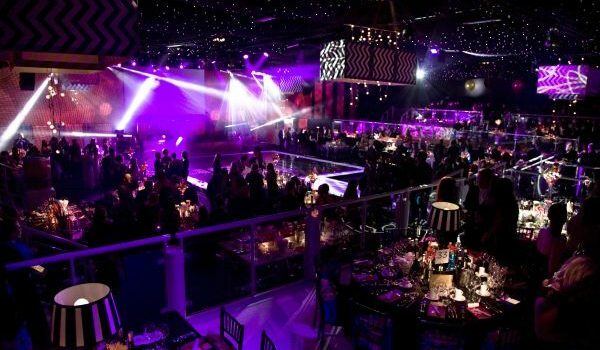 They chose to host the bash at London Battersea Parks’ semi-permanent event venue; Battersea Evolution. 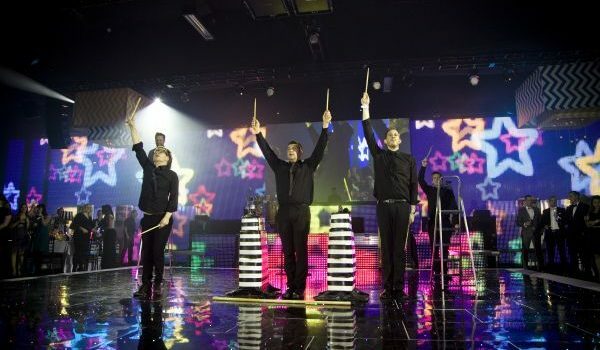 We were appointed by event management company Well Pleased Events to design, create and deliver the technical production. 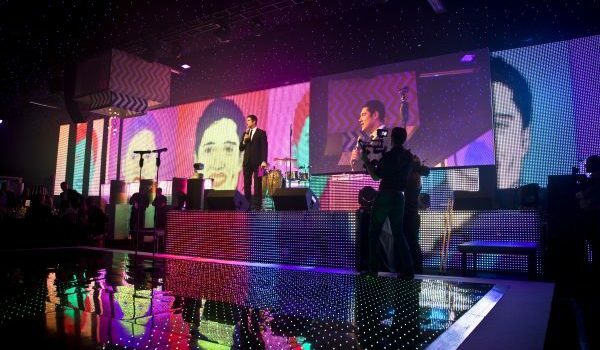 The event’s theme was Pop Art and the idea was to make the whole set one big visual screen. 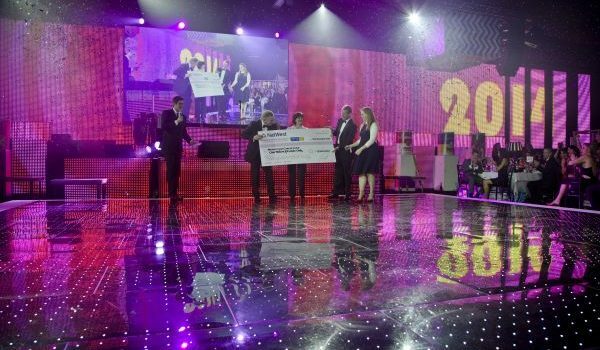 In order to address the big visual screen we proposed a 200 m2 mesh screen with a 6m canvas projection screen. Content would be displayed using mapping technology to allow one long smooth, eye-catching image transition. We installed a 40m wide x 5m tall back drop using our LED mesh and HD projection screens. All content, including mapping instructions were created by our creative team and automatically cued using the industry leading Fusion system. 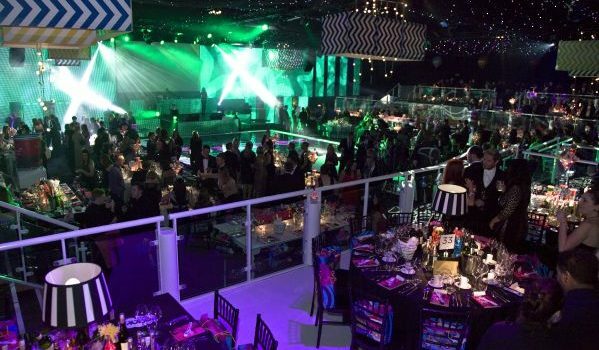 40k HD projectors were centred on the main screen and streamed the evenings celebration live as it happened, which was being captured by multiple cameras positioned around the venue. The high specification D&B Q series sound system along with D&B T10 series delays and over 56 mic inputs, controlled via 2 Yamaha QL5 consoles which were on FoH & Monitor duties these were connected by a DANTE stagebox system. A 68 strong lighting rig, with the majority being intelligent lighting, was installed, designed and plotted by our dedicated lighting designers. A full production schedule was created, which included very tight deadlines for install (12 hours) and dismantle (4 hours) which the Showcase team managed and delivered on time. The outcome was a high impact, visually engaging event that really delivered the “Fab at 50” theme. 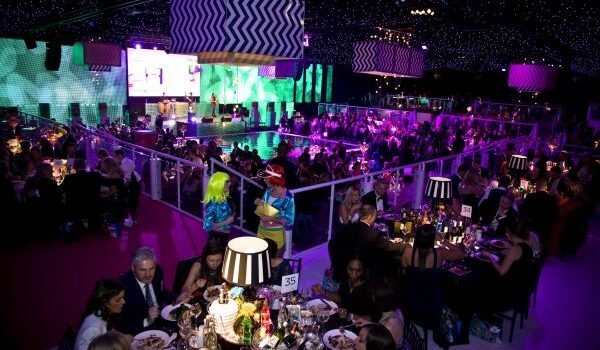 All guests were wowed by the big screen content which really delivered the wow factor in this huge venue. 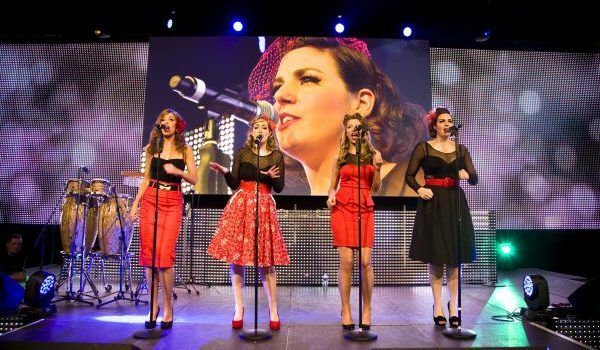 Thanks to Showcase AVI for producing such a great show for the Superdrug 50th Anniversary. We worked with them from concept to creation and they pulled out all the stops to deliver everything we asked of them and more. I can’t recommend them enough and I look forward to working with them again in the future.